In a high sided sauté pan brown mushrooms in 2 tbs of butter. Do not add salt until they are nearly completely browned as that will keep them from getting to the golden color you want. Bring 2 1/2 cups water and 2 tbs of olive oil to a boil. Add a generous handful of salt once the water boils. You want a less than typical amount of water so that the pasta remains starchy and rich. Cook the pasta until al dente (about 8 to 10 minutes) as it will continue to cook in the pan later on with the sauce. 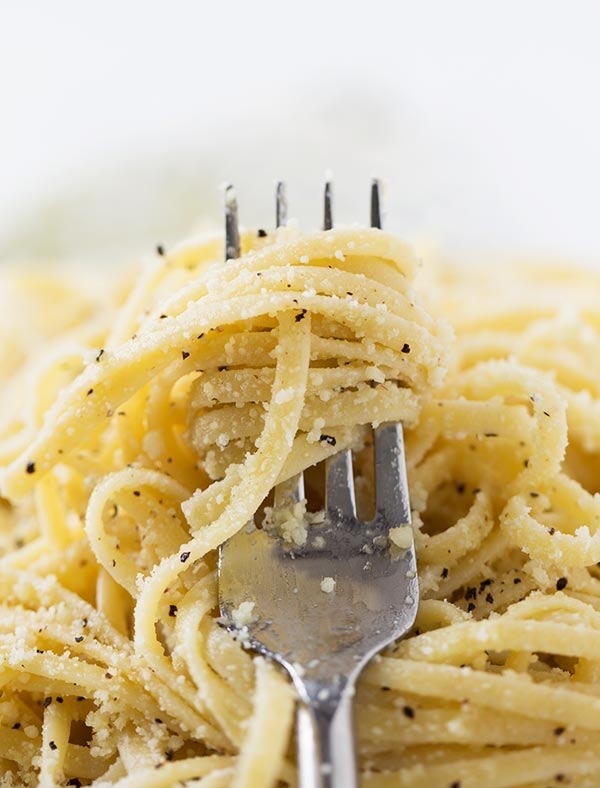 While the pasta cooks, heat up the olive oil and 2 tbs of butter. Add the red pepper and chopped garlic being careful to not let it burn. Browned garlic smells delicious yes but unlike browned butter it tastes bitter and that's not what we're going for here, ha. Add in the lemon zest, lemon juice and a ladle of the hot pasta water. Carefully drain the bucatini and add it to the pan with the butter and olive oil. Add the browned mushrooms as well. 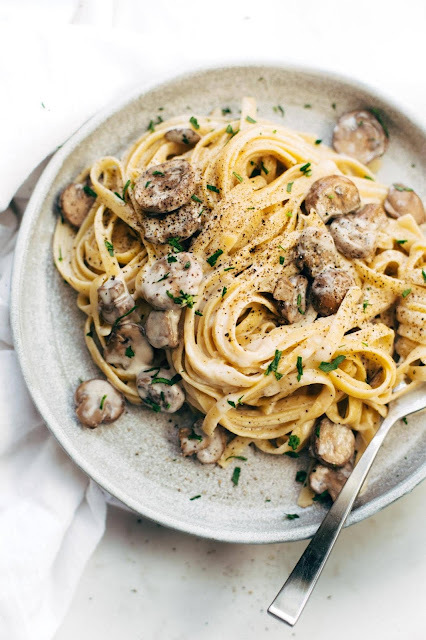 As the pasta and mushrooms warm up whisk the flour and heavy cream together in a separate bowl. Pour it into the pan and toss. Continue to toss for about three more minutes until the sauce has gotten creamy and thick. Add the last 2 tbs of butter and allow to melt. The pasta will have a glossy finish. 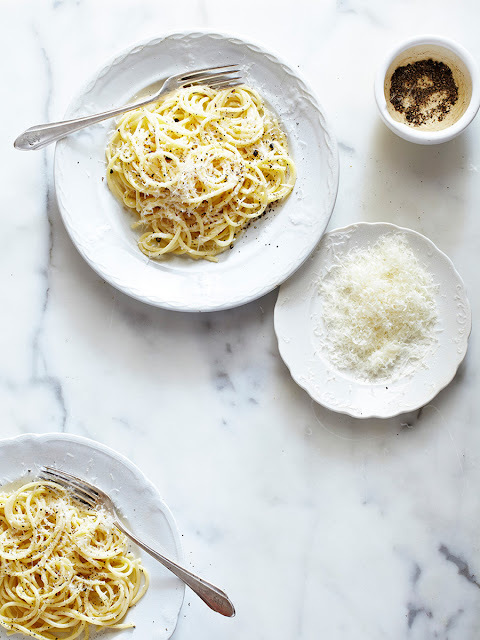 Turn off the heat and slowly add the parmesan being sure not to let it clump. Season with salt and pepper to taste. Plate and garnish with parsley. You can also thinly slice some lemon slices to make it look pretty...Pour yourself a glass of wine and enjoy! I hope you love this dish as much as I do. I'm betting your family will too! It really is the perfect winter weeknight meal. Hope everyone is enjoying a wonderful week. Caio bella!